In some third party Blogger templates like Bloggertemplates20, Ms design etc is difficult but not possible to remove some widgets from the Blogger Layout. 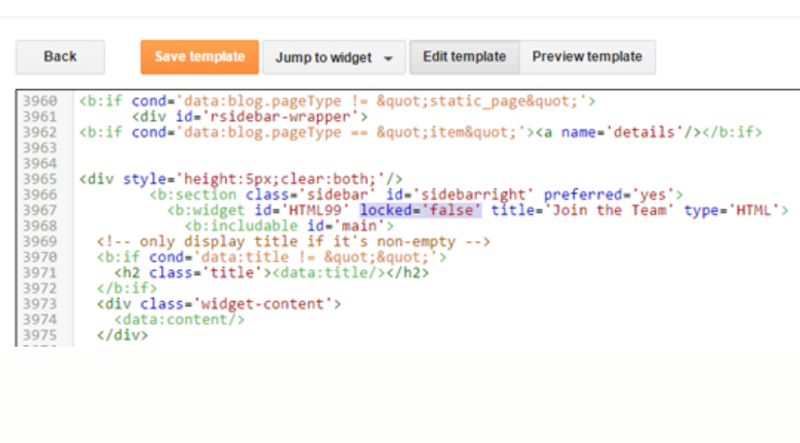 During my neccissity to achieve this aim, l have found out 2 or 3 ways by which we can remove any widget at all from any blogger template. But today am going to write this article based on the more simple one to follow then in my future post am going to declose the other methods, they are not hard like you may think all you need is for it to be exposed and you can apply it simple. 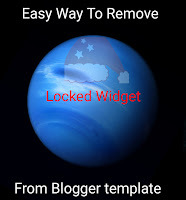 By defualt when following the normal procedure of removing widgets from Blogger templates you will notice some of this widgets don't have the remove button, which then makes it impossible to remove unless you apply this trick am going to show you now. To remove this widget go to Blogger >>> Layout >>> Open the particular Widget which you want to remove. But if you are using phone download one of the Best five HTML Source code editor app easy to use for Android. Now a new window will popup, in the address bar look for widgetid =. It always appears towards the end of your widget address. 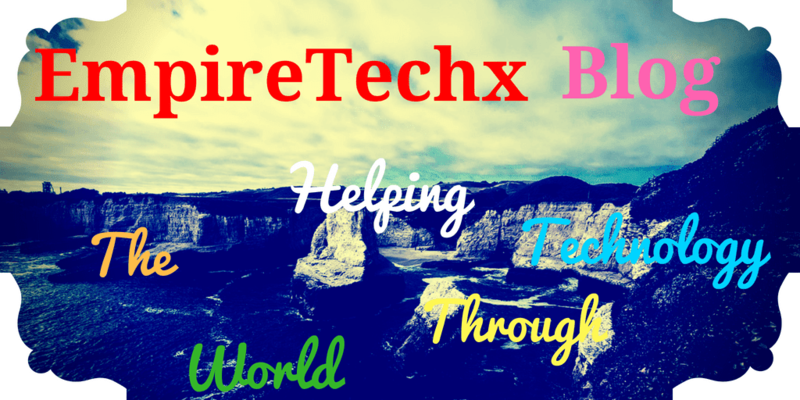 After finding the widget id copy it down any where for further usage in this tutorial. 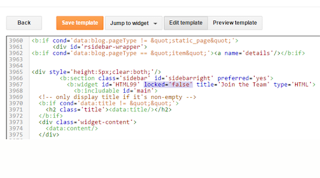 Now go to Template >>> Edit HTML >>> Jump to Widget and then select the ID of the widget (which you'ev already copide down before). After that it will take you to the coding of your widget, then you need to make little changes in the coding of your widget as give below. To make it more straightforward, change Locked="true" to "false". Refer the below screenshot for more clarity. Now go back to Layout and again open the locked widget, And you will be able to see that the Remove button has appear on the widget. Simply click on Remove button to remove the widget. I hope this toturial is easy and simple to implement? but incase you encounter any issue just use the comment box below to notify me and l will reply with solution asap and also endevour to share the post to help your friends too.